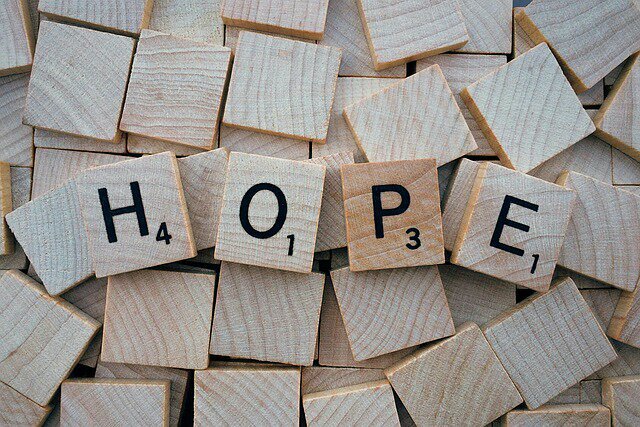 Hope that is grounded in the Lord is a sure foundation. Here is a link (below) to an article written by my husband that I had to share. There is no other way to say it better. My heart has been stirred, challenged and encouraged. We pray together that it will be the same for you. Thank you my Love for being an instrument in the Master’s hand. I love you, Pastor Richard Woodruff. Have you ever wondered why believers in Jesus Christ make living the Christian life harder than it needs to be? I do. Before you come to any conclusions that somehow I have a handle on it, I am just as guilty – for the same sinful flesh rears its ugly head within me as it does in anyone who does not daily walk with their Lord. If you are honest with yourself, you’d agree – because it has happened to you as well. I recently read a post (on a certain social media site) of an individual who was seriously contemplating leaving their church due to the stupidity of words from another human being. I know how sad, right? Or not? Before I continue let’s clarify an area of grave importance – there is never a time nor a place where the deed of gossip should be present in the heart or on the tongue of a believer; nor is it “fun” to those on the receiving end. Therefore, if you are a believer and I mean – a claimer of Christ as personal Lord and Savior – being a gossiper or listener of gossip ought never to be present in your life. Before the Throne of God, vitriolic words period are never tolerated nor should they live amongst one believer to another. It is just that simple. Gossip is sin. Sadly, this very act was what had happened to this dear soul in the post I read days ago. Now that we have a clear understanding that gossip is both sinful and harmful to all those involved, I am baffled how those who claim Christ justify their choice of disobedience to God yet still claim their love to Him. How can this be? You react in becoming justified in your hurt. Your response reveals the treasure of your heart. The inward heart response lashes outwardly via the flesh and thus reaction take place – justification of self opts out of obedience to God. An individual has chosen to turn and walk away from God due to the fallacies of others. Most of us would answer ‘NO!’ yet 9.99% of us have done this very thing at least once in our lifetime. This is where I question – Why? Why was I reading such a post from an individual I knew well? Why would we, as sons and daughter of God, who know that we are individually responsible and commanded to obey the Word of God choose to disobey? Thinking of my friends post, if you are not familiar with it, in Hebrews it says that, “we are to not forsake the assembling of ourselves together” (10:25). Is this not a God-command to be obeyed? Is it ever justified to seriously contemplate leaving the church and take a break from God due to the stupidity of another? There is NO verse to claim for such a justification. It does not fit in accordance to the Scripture — GOD’S WORD, does it? Despite your or my personal view on accountability, responsibility, submission, and obedience (regardless of whether you are right or wrong – Scriptural or not), this you can be sure of – God said that you will stand before Him one day give an account (see the Revelation for starters) – that is a guarantee. It is impossible for God to break His own Word. It is foolishness to think we could live so flipped over our God-given responsibility of walking in obedience by establishing our own self-justification by blaming others. This my friend is not spiritual maturity or strength but rather our own lack of spiritual backbone (it is spiritual weakness) – living in the FLESH can never respond in the SPIRIT…never! It is time we seriously rethink our own thinking, our position – and/or our reactions towards those who sin against us regardless of whatever offense it may be. In the New Testament is clearly states that “when” those offenses come; not “if” they come. This can only happen if we are preparing beforehand. Living a carnal Christian life yet claiming our love for God is impossible. It brings no pleasure to God nor is biblical. Are we to genocide our obedience to God because of the sinfulness of others? I think not! Why lay aside what we know is the WAY the TRUTH and the LIFE and except the lies from the pit of deception and allow our own sinful flesh over the One & Only true and Holy God? In God’s gracious love and mercy He created us with an intellect – emotion – and will. We are not robots. We are free to choose. 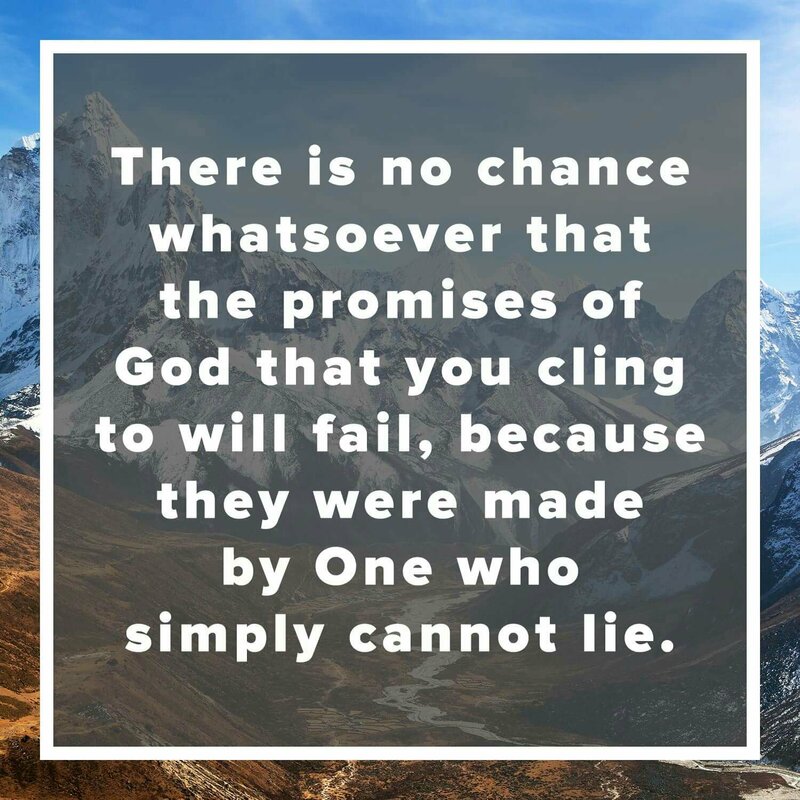 If we choose to take the route of rejecting God – the very truth of God’s Word – and not live by faith on His promises through His Word, then we have chosen to reject our Lord. We live a carnal, cold to lukewarm life. The end result: we live in sin. We cannot say before God or others “We love God” when our actions and words tell or show Him otherwise. In handling an offense directed toward us, God has wonderfully prescribed the proper method in handling such issues. Do not “broadcast” your situation to others or try to create sympathy or a following from others. Is it okay to ask for counsel? YES – Godly counsel is the best but when you “broadcast” you are gossiping. Do not vent your issue to parties who are not involved. Be honest in your conversation; do not use anger to get your sought result. Allow God to be your vindicator. If your offender is defensive, your God given calmness and tone of voice with His peace will rule over the situation regardless of the outcome. Reconciliation is the goal. Stand firm in the Lord and His leading. Do not back down on reproving and/or rebuking the behavior or offense(s) that have occurred. Do not be offensive while doing so for this only fuels strife – this is where you will see your time in prayer rules and the power of God’s preparation in you is at work. God will empower you! Seek to gain the brother or sister (reconcile and restore the relationship) rather than to take revenge. Be aware of your own heart being oversensitive and/or insensitive on the part of the person. Do not over exaggerate or under exaggerate. Tell the truth! To see first hand the wondering working HEALING power of God in you is indescribable. Don’t underestimate God in you! You are 100% indwelled with the power of the Holy Spirit! Use this opportunity to seek to grow in spiritual maturity in Christ. Be prayerful and sensitive in how you approach. Be ready to respond and deal with each situation with meekness, God-boldness, reliance and humility in Christ. Be careful about how you treat one another especially when you know how it feels. Seek to treat others as you would wish to be treated – with kindness and respect. Ask for God’s grace to develop the spiritual vision to see offenses coming and not be drawn into them; but rather have the wisdom and grace to handle them and bring Him glory through them. Remember to pray for God’s grace to discern how to respond in a godly way to each specific situations and to each specific person. “What If?” the offender doesn’t take responsibility for their actions or ask you to forgiveness them – What should I do? If the problem remains unresolved, take one or two people with you as witnesses “that every word may be established.” The integrity of “objective” witnesses are important in this step. The key word here is “objective witnesses” – these folks will truly help you (for they will tell you when you are doing right or wrong and will help you in the situation you find yourself in with God’s Word). Don’t ask witnesses who only side with you – ask a person or persons whom you trust and that has a solid walk with God. You want people surrounding you that will help you spiritually! Always remember that the goal is not for you to win or get justice, but to “gain your brother or sister”, by reconciling the relationship. If the matter is still unresolved, then it must be taken to the church. Hopefully you have already sought the wise counsel of your Pastor. When you come to this stage, you cannot take the matter to the church without your Pastor’s knowledge or guidance in the situation. His wisdom and leadership in of great value and resource – tap into that God-given Shepherd resource! Your Pastor is also a great example of a “witness”. When the offence is of a nature that it requires this serious measure we must remember that the goal is still reconciliation (to “win the person” back to appropriate fellowship). Telling it to the church would involve taking the matter to spiritual leadership. Remember above all to stand firm on God Word and His promises. Come boldly to the Lord in prayer and seek His face! See to the glory of God. I happily report that a couple days later I read another post concerning the individual I spoke of in the beginning. It read of many thanks to those who commented and rejoiced in the outcome that had taken place for the gossiper (or slanderer) repented of what they had said and done then asked for forgiveness. My friend freely gave forgiveness back and the relationship/fellowship was restored. PRAISE THE LORD!!! Seeing the wondering working power of the LORD! Can I hear an AMEN! the Struggle is Real but so is GOD! Very honesty, my mind floods with where to begin. I have longed to blog for the past several weeks yet haven’t had the ability to put thought into words due to the inward struggle of my heart. My soul is in distress, migraines are intense, the struggle is real but so is GOD!! If my flesh were speaking, it would “spill the beans” to proclaim the wrongs done towards us and make them right! To herald the truth so the truth would be known. To correct those individuals thus putting them in their rightful place and make them see the errors of their ways. Yes, this is pure flesh! To be honest, I have thought about it but spiritually it is what I cannot do (Romans 12:19). For I know that wouldn’t be pleasing to my Lord nor would it be a testimony that I would long to represent for my Lord. Nor would it be profitable or helpful for those involved – for their spiritual growth is at stake. So, in the midst of my own distress, aching, and sorrow-filled heart I am choosing to stand in the shadow of my Almighty – to be redeemed one day, in His time, but for only one glory —-> HIS! The past year has been no picnic in the park for my family and I, but I speak personally here. In my weak spirit, it trembles in fear, yet speaks in the midst of deep distress and intensely yearns with more passion than I can express to understand and grasp the knowledge with humbleness to grow before my Lord through this trial. In God’s graciousness there have been blessings along this road for which I am truly and utterly thankful for. Believe me, I have been keenly aware of these blessings for I have looked HARD – very hard for them. They have been those “diamonds in the ruff” that have stood against the wiles of the devil, the wiles of man’s sinfulness, and even against my own sinful heart struggling from within. They have been God’s messages to me saying, “I love you” and “I know, I see” or “I understand, I am here” and “I know you don’t understand, but I am still in control…trust me” for these I rejoice over. Another cherished blessing has been my precious family. In my weakness, they are compassion and strength. In my time of need, they are understanding and prayerful, wise and loving. I rise up and call them blessed! I don’t know about you, but I for one want to learn the lesson the first time! No matter how hard the trial may be we must choose Christ over self (better or bitter). God’s plan doesn’t hinge on my feelings. God’s purposes are immovable because they rest on solid ground — because HE IS solid ground. For without God we are nothing. Without Him we cannot live. Regardless of mountaintop or valley, we are to be daily feasting on the Word. I must say that choosing to believe the goodness of God in the land of the living (Psalm 27:13); to devour God’s Word every second whether or not my soul or mind can consume it all or not during these difficult times…has been my lifesaver! Everyday there is a choice we must make. There are actions and reactions that reveal our relationship with Christ and we cannot and should not let that go even when our hearts and minds are struggling to survive! In His beauty and love for His own, God takes us through places that we don’t understand to prepare us for places He has prepared for us. The Lord is so gracious to us. For my God is good on the mountaintop as well as in the valley. There is never not a place where He is not – where I am.